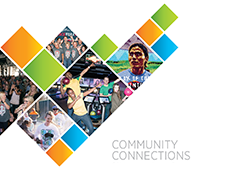 Being a connected contributor in our community is a tradition and point of pride at Reynolds American and its subsidiaries, where our legacy of community support dates back to the late 1800s. Our companies and employees generously invest their time, talent and money to help improve lives and shape the communities where we live and work. Our companies, along with their foundations and employees, donated approximately $32.6 million in cash and property to a wide range of nonprofit organizations in 2017. Employees gave $2 million to nonprofit and educational organizations through the United Way campaign and the employee matching grants program. All of these contributions were matched one-for-one by the Reynolds American Foundation. Our employees outdid themselves to help their communities in 2017. 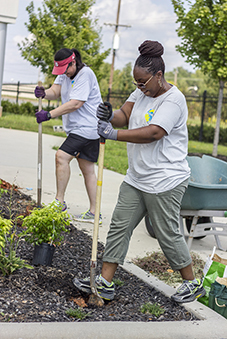 During the United Way Days of Caring, more than 1,200 employees (over 48 percent more than in 2016) volunteered over 5,000 hours to help United Way agencies. In 2017, we also looked for ways to invest in the future of our community. R.J. Reynolds Tobacco Company donated its Whitaker Park manufacturing plant for economic and development purposes, and the Reynolds American Foundation provided a significant contribution to Project Impact, a six-year plan to improve third-grade reading and math proficiency in the Winston-Salem/Forsyth County Schools. Foundation giving: Three independent foundations, created, staffed and funded by our operating companies, support education, arts and social programs that strengthen our local communities. Corporate giving: RAI and its subsidiaries make monetary contributions and non-cash donations such as land and buildings to support nonprofits and economic development efforts in the communities in which we operate. Employee-directed giving: Employees are able to direct foundation and corporate funds through a variety of ways. For example, the Reynolds American Foundation matches employee gifts to nonprofit organizations and institutions of higher learning up to $7,000 per employee per year. Employee volunteerism: Employees are encouraged to give of their time by spending some paid time off to volunteer in schools, and to participate annually with colleagues in United Way’s Days of Caring.